supply vessels and land based needs for a wide variety of oil field projects. 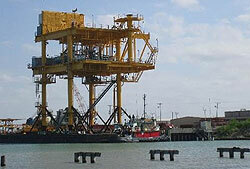 The port is conveniently located near the GIWW and the Gulf of Mexico. Land is available for development.